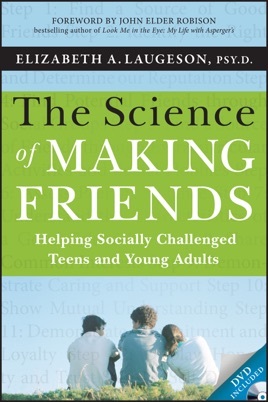 This book offers parents a step-by-step guide to making and keeping friends for teens and young adults with social challenges—such as those diagnosed with autism spectrum disorder, ADHD, bipolar, or other conditions. With the book’s concrete rules and steps of social etiquette, parents will be able to assist in improving conversational skills, expanding social opportunities, and developing strategies for handling peer rejection. Each chapter provides helpful overview information for parents; lessons with clear bulleted lists of key rules and steps; and expert advice on how to present the material to a teen or young adult. Throughout the book are role-playing exercises for practicing each skill, along with homework assignments to ensure the newly learned skills can be applied easily to a school, work, or other "real life" setting. The bonus DVD shows role-plays of skills covered, demonstrating the right and wrong way to enter conversations, schedule get-togethers, deal with conflict, and much more. Ch. 1: Why Teach Social Skills to Teens and Young Adults?